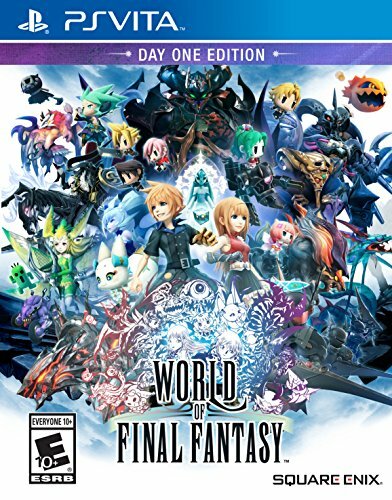 Embark on an adventure unlike any before to an all new WORLD OF FINAL FANTASY. With charming, stylized visuals for both the young and the young at heart, players will collect, raise, and battle iconic monsters by stacking them to form adorable yet strategic monster towers. The memorable legends of FINAL FANTASY come to life in this imaginative, colorful world as an epic story  t for the smallest of heroes unfolds. Two siblings journey to a mysterious land to rediscover their lost memories. In this peculiar place where stacking things on ones head is perfectly normal, the young monster tamers will encounter new friends and familiar FINAL FANTASY heroes as they learn the truth about their pasts.